Cub Cadet Chipper Shredder Vac CSV 050 is a 3-in-1 machine that’s perfect for cleaning and compacting yard debris. 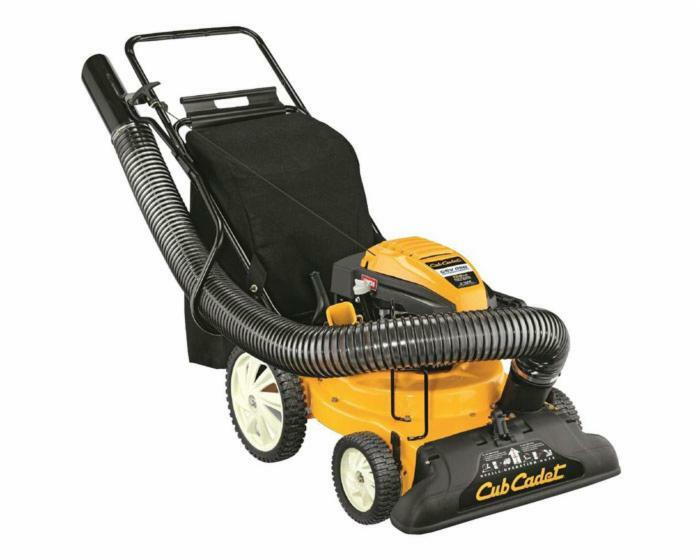 Featuring a 24-inch vacuum width and 7-foot hose, this versatile chipper shredder vac allows you to cover both wide patches of ground and smaller, hard-to-reach areas. A 1.5-inch chipping capacity also simplifies clean-up, cutting branches down in less time to make your workday go by more quickly.